Impacton | Projects worth spreading. and replicate their formula, everywhere needed. to be adapted and used in other locations. Our methodology turns your formula into an interactive toolkit, or Blueprint, able to guide people and organisations interested in helping you grow in other locations. or see one of our Blueprints here. ready to be used and adapted by anyone, anywhere. We help people and organisations identify the best existing, proven solution to implement in their own community. When we won the Google Impact Challenge, they set us the goal to scale to 10+ other locations, within 3 years. Without Impacton it would have been impossible, while now we have 30+ hubs building upon our formula. 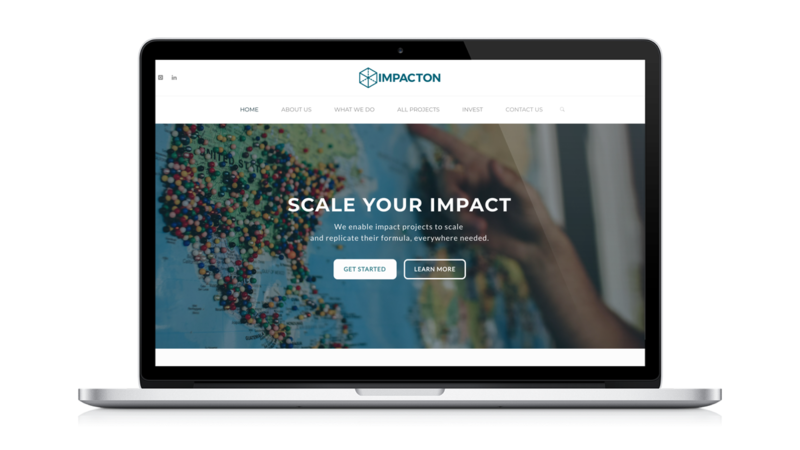 Impacton is cracking the code of international development and cooperation, by giving access to solutions that are sustainable, adaptable and create local empowerment. This is a key aspect of the 2030 agenda. One of the main barriers for Impact Investing is the high risks perceived from public and private actors, and the consequent resistance to getting involved. Impact is a key tool to guide this transition towards new, effective models of growth. We work with experts and organisations from 50+ countries. Learn more about us, our work, and how we can shape impact that matters, together.